Recording vocals is arguably easier than recording a drum kit, but there are still common mistakes to avoid when laying down vocal tracks or recording vocal talent. Here’s six things to bear in mind. In many ways, a good vocal sound comes LESS from employing fancy techniques, and MORE from avoiding common problems. Better businesses build big boxes. Feel the air hitting your hand? That’s popping. To avoid it, the easiest way is to sing into the mic at a slightly off-axis angle, so the blasts don’t strike the diaphragm directly. However…since many singers can’t or won’t do it, engineers often use pop filters instead. 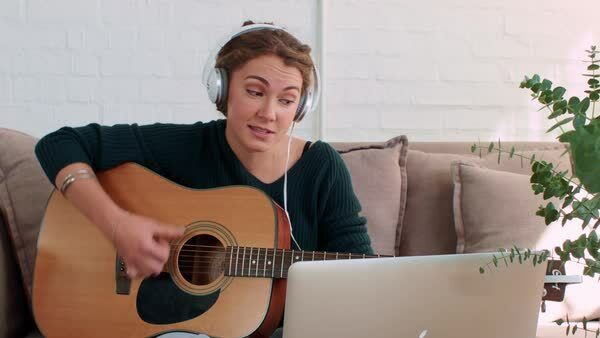 By creating a barrier between the singer and the mic, pop filters act like a net to catch “plosives“, while allowing other sounds to pass freely. The barrier also acts as a distance marker, preventing singers from moving in too close, as they often will. Also, by adding a high-pass filter, it’s harder to hear popping. Sibilance is a common issue when mixing vocals. Ideally, it would be addressed and reduced in the recording phase when possible. But oftentimes, we’ll need to help control it in the mix. Attempting to reduce sibilance with EQ however, is a mistake, and one that many novices make. But on recordings, when your mouth is right up against the mic, it often sounds painfully obvious. Grab a pencil, and secure it directly over the diaphragm of your mic with a rubber band, as shown in this picture. Now…those high frequency blasts will be split in half by the pencil, and diverted off to the side. Problem solved. Also, by adding a de-esser, it’s harder to hear and avoid sibilance. Proximity effect is simple – the closer you get to the microphone, the more bass ends up in your recording (or performance for that matter). Although this may not seem overly significant to beginners, seasoned pros will testify that this law can either make or break your audio track. Due to the design of the cardioid mics. Which is the standard polar pattern used on vocals. Whenever a sound source is located within a few inches of the diaphragm. The microphone exhibits a noticeable low-end boost in its frequency response. The closer the sound, the stronger the effect. With certain instruments such as acoustic guitar, this can serve as a useful tool in adding warmth. On vocals however, when inexperienced singers use it unintentionally. It can be extremely annoying to hear that low end boost appear and disappear at random. Use a pop filter – to prevent the singer from getting too close to the mic. Use omnidirectional mics – which are immune to proximity effect because of their design. We get it — if you’re recording at home or in any less than ideal environment, then you’re unlikely to have studio-quality acoustics. You’re going to have to compromise, but there’s a limit to what you can ignore without totally trashing your sound. However, the acoustics in your room is bad, so will your vocals. And without proper acoustic treatment, you can pretty much guarantee that your studio’s acoustics WILL be really bad. So if you don’t have any yet, make it your top priority. Reflection filters can be a good cheap alternative for anyone in search of a shortcut. They may not work as well as “real” acoustic treatment…but they’re a thousand times better than nothing at all. Becareful when you record your vocals because every single footstep can be heard loud and clear throughout the entire house. 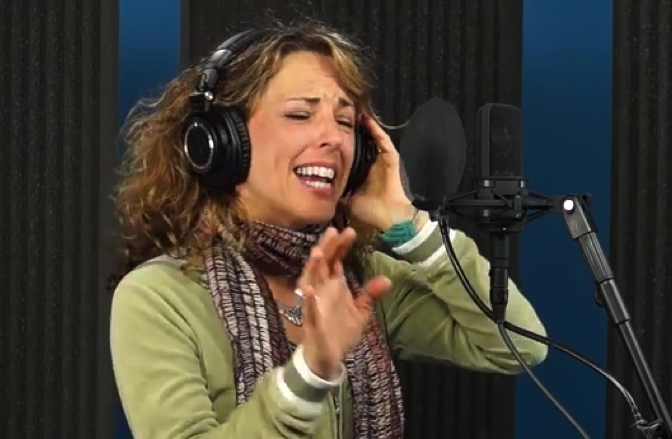 When singers tap their feet, those vibrations travel up your mic stand, and onto the recording. The common solution to this problem is to add a shockmount, which works by creating acoustic isolation between the mic and the stand. Setup your mic as you normally would, record enable the track, and crank up the gain. Put on your headphones, walk around the mic stand, and listen. If you hear your footsteps or any other floor noise, you could probably benefit from a shockmount. While many vocal mics come with one included, if yours doesn’t, here’s what you do: Because most shockmounts are designed to work only with a specific mic, you need to find the right match. Since “Believe” by Cher hit #1 on the Billboard Hot 100 Charts in the late 90’s, auto-tune has been all the rage. However, by adding in auto-tune, it’s harder to hear when you’re off-key. Good singers who have the ability to hear these problems and adjust accordingly, might be best off having minimal effects while tracking. If you overuse compression, EQ or yes, heaven forbid track with autotune on, then there’s no way to recover your vocals later. If you want to get a certain sound when tracking then use splits on the mic and get a clean safety version of the vocal down too, just in case. It does no harm and can save a song later.